I love taking classes… especially when instructors generate “aha” moments. Those are added bonuses that I take away, and can’t wait to share with others. Adding powerful, memorable visuals to learning experiences is something I appreciate. Here is one that was incorporated into the Mason Bee class I took last weekend when our instructor wanted to emphasize the vital role of pollinators in food systems. 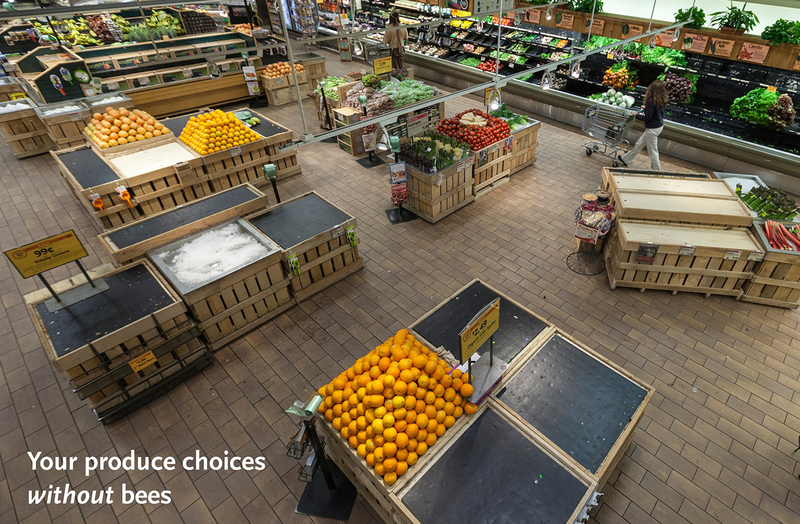 A couple of years ago, Whole Foods in Providence, Rhode Island, vividly portrayed to its clientele what their shopping experience in the produce department would look like if the store removed all fruits and vegetables dependent on honey bees and other pollinators. If you’re like me, and appreciate visuals try out the videos, too. Since we love making guacamole, the video was terrific to illustrate exactly what happens without pollinators, no more of the food many of us enjoy! 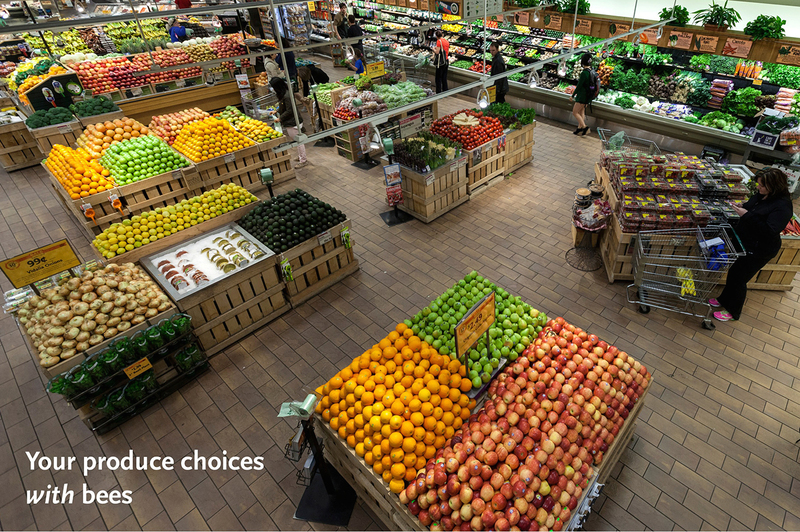 When I was researching about Tilapia fish, Whole Foods was one of the few places that sold the right type and fit the criteria set forth for sustainable aquaculture fish. I learned about their Marine Stewardship Certification program — and that was 3 years ago (http://lolako.com/country-of-origin-for-tilapia-fish-sold-locally/ ) . I’m with you- it would be great if all markets could include public education campaigning in their advertising budgets. Even something as simple as promoting the “Better Bag” habit would be a huge step. Easy to keep on growing our appreciation for pollinators especially with such graphic representations, that’s for sure. Definitely something to think about Jane! You have a nice video and pictures to remind us of these important part of our food chain.